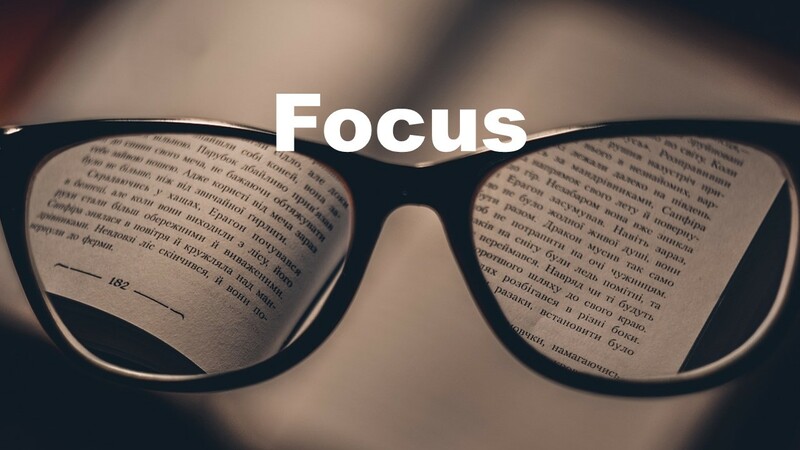 15 ways to boost your ability to pay attention and stay focused. Most of us were never taught how to stay focused and pay attention. We were told to “pay attention” and if you didn’t or couldn’t you were told that there was something wrong with you. Maybe you were even told you had ADD/ADHD. You may have that disorder and need professional help, but my suspicion is that a lot of us could stay more focused and pay better attention if we tried a few simple techniques. Getting organized and staying organized are skills you can learn and practice to keep yourself focused and on track. Here are some tools that well-organized and focused people use to keep themselves moving forward. 1. Tell yourself you can do this – not that you can’t focus. Tell yourself that with or without an attention issue you can and will learn ways to improve your focus. Self-talk is powerful. If you say you will improve your abilities in this area you will. Continue to say you can’t and you will not ever improve in this area. If you find it is difficult for you, find out why. What is the thing you still need to do or learn to be more focused and better organized? 2. Make lists of to-do’s. If your mind is full you can’t process new information. Trying to remember all you have to do today will reduce your ability to pay attention to the task at hand. Making a list of what you need to do and writing it down will help you get organized. You can pick from the list the most important thing to do first and then move on down the list. What you do not get to was probably not that important. That or if you still are not getting to everything on your list – too much to do is the problem. 3. Prioritize to help you remember what is important. Which thing needs to be done first? You need to write a report. You decide you need to look for sources, write an introduction and then complete the report. Bouncing all over the place doing one thing and then another leaves you with lots not done and increases the chances you will forget things. 4. Do the most difficult thing first. Leaving large tasks for last means they never get done. Your mind will protect you by taking you off task. Go after the big one first and once this is out-of-the-way the other things you need to do will be the more manageable. Whenever possible avoid all those have-to-do things that people do before the project. Doing too much getting ready puts off the task until you run out of oomph. Forget sharpening all the pencils and cleaning off the desk before you can start to write. Write first and then sharpen those pencils or clean off unneeded things during the breaks. 5. Set a specific goal first to stay on task. Decide what you want to do. Work on that goal as long as possible. If you find yourself off task relax for a moment and then refocus on the original task. For very large projects build in some step back and think some more time. This keeps you from wearing yourself out working on things that do not help you achieve your ultimate goal. 6. Break your task up into small size parts. Slice big tasks up into small chunks. This coupled with the list making technique can allow you to do small things and do them one at a time rather than becoming overwhelmed trying to stay on task over a large task and a long time frame. 7. Do not let your mind distract you – add things to your list and keep going. If your mind keeps talking to you about other things you need to do, avoid thinking about those other tasks right now. Write them down on your to-do list and clear your mind then refocus on the original task. 8. Plan what you will be attending to ahead of time. Are you listening to a talk on your favorite topic? Will you be learning a new skill? In what area? Knowing why you are going to need to pay attention lets you stay focused when you need to and lets you go on autopilot when this is a fun attention-is-optional activity. 9. Set a routine that gets you in the groove. If we humans had to think over each and every thing we were going to do today many of us would still be in bed. If you have a routine way you do routine things you can get more accomplished and leave mental capacity for the new tasks you will need to tackle today. Whenever possible establish a set procedure for things you do often. Having a set do-step-one then step two, the process helps you stay focused. 10. Practice your routine until it becomes automatic. Professional athletes, Olympic hopefuls and other performers know this well. When the ball is coming towards you is no time to have to think about what you will need to do. Practice your skills. Practice them over and over until they become automatic. When they are automatic moves practice some more. Over-learning, continuing to practice skills that you have already learned is the key to being able to stay on track during times of stress or excitement. 11. Do not try to do two things at once. There are very few times that people can really do two things at once. Good multitaskers are even rarer. Multitasking is the great myth of our times. Focus on one thing at a time for optimum performance. Do not be thinking about what you will do after work while working. The time needed to switch back and forth and decide what task to do next takes time away from all the tasks you are working on. Do one thing at a time for best results. 12. Avoid sounds that will pull you away, use white noise and background music to neutralize the distractions. Some people can focus best with background noise. If you do this look for instrumental music or white noise sounds. Avoid talk radio or interview shows where you will be tempted to switch your attention back and forth between the noise and the task. Mindless sounds, instrumental music or other non-interfering sounds can help drown out distracting sounds. Some tasks are best performed in low noise environments with the door closed. 13. Plan breaks and movement. Frequent breaks do not interfere with attention, they improve it. Move around in your chair, get up and walk, take a mental break and your overall attention will improve. Every few minutes look far away and blink. Give yourself small diversion to improve your concentration. If you try to stay in one position and focus your eyes on one task for too long you will discover that your body will develop aches and pains to draw your attention away. 14. Do not stay stuck on something you can’t do – try skipping it and coming back later. Avoid getting stuck in a loop going over and over something you are unable to do. Take a break, move on to another task and plan on returning to the project later. Sometimes a break will allow your subconscious mind to keep working on the issue and the solution will suddenly come to you. At other times you may decide you need to seek out help or advice from someone who knows how to accomplish this task. 15. Simplify your life to improve your attention. If you find you are chronically off task. If you bounce from thing to thing but rarely get anything done or if you are always forgetting things, the problem may well be that you are trying to do too many things and that they are all getting the same priority. Sometimes more is less, especially in the area of staying on task and being productive. This entry was posted in ADHD & Learning, Self help skills and tagged Attention Deficit Disorder (ADD), Attention Deficit Hyperactivity Disorder ADHD, bad child diagnoses, development of attention, Disruptive Behavior Disorder, improving concentration, improving productivity, staying focused by David Joel Miller. Bookmark the permalink.